Below you'll find links to other interesting and valuable sites on martial arts and self defense, including places to buy equipment, schools in the New Orleans area, and more. 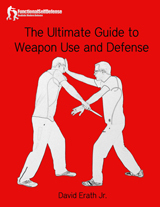 Matt Thornton's Guerilla Blog - An outstanding blog with a skeptical focus, what you need to evaluate any martial art or self defense system you practice. Aliveness 101 - Another blog by Matt Thornton, on the importance of alive training in the martial arts. Burton Richardon's Jeet Kune Do Unlimited - A good website and a very good forum on martial arts for the street. Burton is a great guy with a great sense of humor. Big Stick Combat - An interesting blog on Filipino martial arts with a slant toward "big sticks". Sword and Circle - A thought provoking blog by Maija Soderholm on sword fighting, teaching, training, and more. Chiron Training - A blog with interesting posts on self defense and martial arts, especially in the areas of understanding violence and prevention. 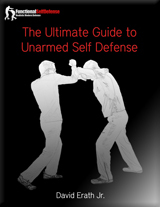 No Nonsense Self Defense - Tons of information on self defense with a focus on prevention. Traditional Filipino Weapons - The best Filipino weapons I've seen anywhere. Kombat Instruments - High quality rattan sticks. SafeGuardArmor.com - Innovative bullet proof armor company in the Unites States. Lightweight level IIIA designs that can be worn under clothing. New Orleans Eskrima - James Wilson's Crescent City Eskrima, taught at the Temple Gym on Magazine St.
NOLA BJJ - Temple Gym, offering BJJ, Kickboxing, and Eskrima. Progressive Martial Arts Training Center - Located in New Iberia and offering Wing Chun, Pekiti Tirsia, Thai Boxing, Brazilian Jiu Jitsu, and more. 504 Fitness - The best gym in New Orleans. If you're looking for a place to do cardio and weight training, this is it. Gallery Rinard - one of my favorite New Orleans art galleries , with very funny animal paintings, some with weapons, by a good friend of mine, Matt Rinard. If you've got a pet, he'll do awesome custom paintings for you. Harouni Gallery - A very cool art gallery in New Orleans with paintings by a friend of mine, David Harouni. He'll also do terrific custom paintings. Head to Toe - Right next to Cafe Du Monde at 816 Decatur St. Head to Toe specializes in vintage inspired men and women's clothing and accessories, and, it's owned by my family. If you're in New Orleans, be sure to stop by! Santa's Quarters - Another of my family's shops. If you're in need of Christmas decorations, this is the place.